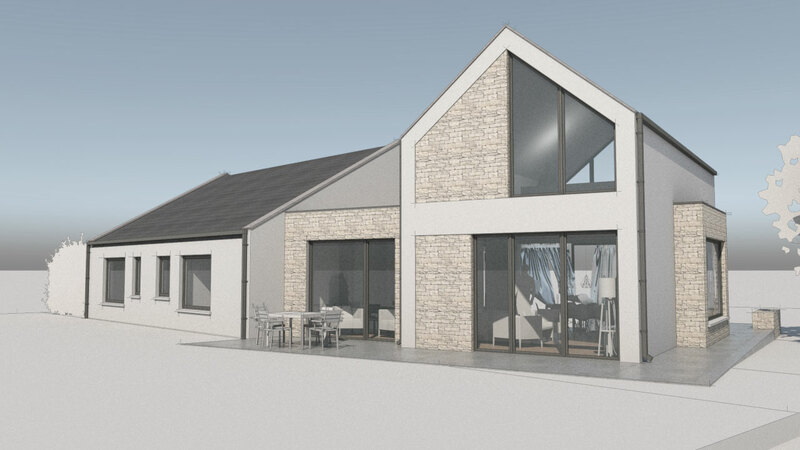 This project is a residential house in the picturesque fishing village of Ardmore, County Waterford, on the Irish south coast. The original house was a 1980s bungalow build. Typical of the era, it lacked space and failed to echo the charm of its natural surroundings. The owners sought to extend the house with an extra bedroom, and redesign the layout in order to take full advantage of the stunning views of the Irish sea afforded by its privileged coastal location. 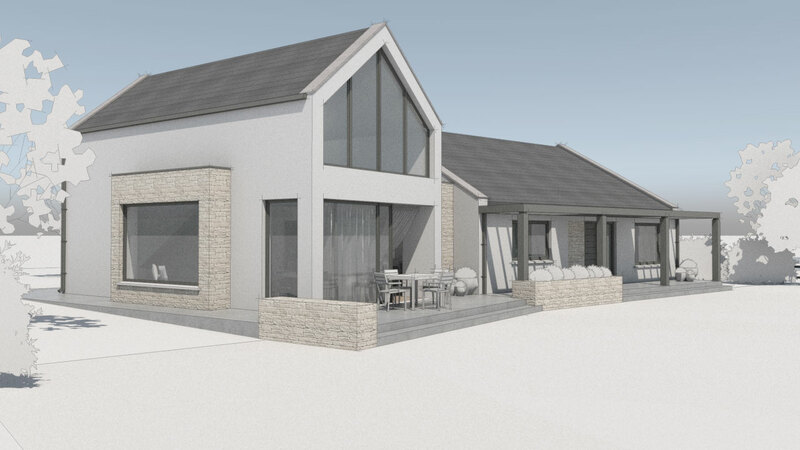 We envisaged a two-storey extension to the side of the existing bungalow. 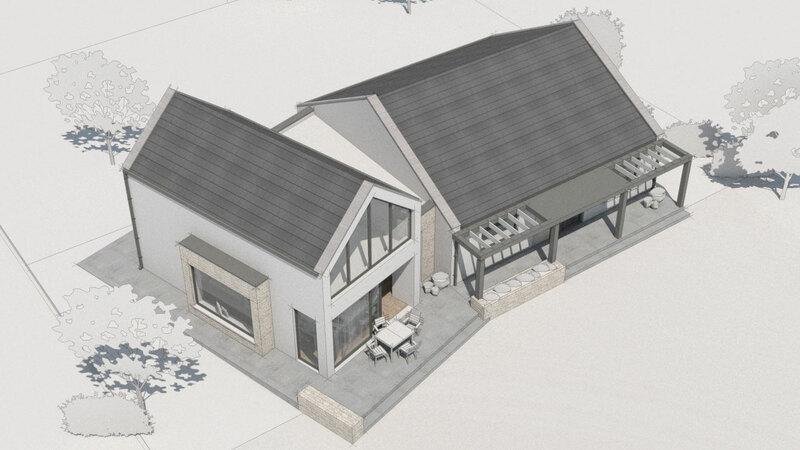 The ground floor extension consists of a new dining and living space, with open stairs leading to a mezzanine level. To take advantage of the views of Ardmore Bay visible from the first floor, we created a glassed gable wall at mezzanine level. We’ve also created an expansive picture window with a window seat on the ground floor, framing a view, taking in the iconic 12th century Ardmore Round Tower to the south. Large sliding doors open to the east and across the extension to the west. Both buildings are connected by a single storey, flat roof link. To capture as much as possible of the view and to create a sheltered sun trap for its residents, the house is angled in relation to the existing building. Internally, the design is contemporary and natural, with spacious glass openings and high-quality aluclad windows to maximise the levels of daylight and sunlight. 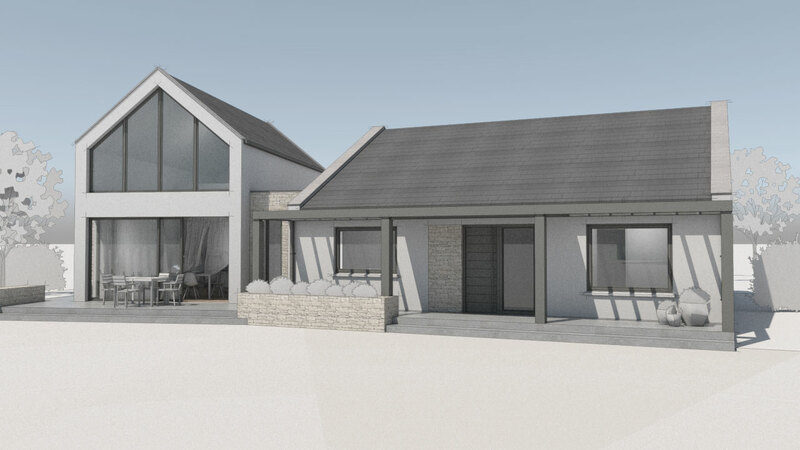 The materials used in this design were deliberately kept as local and native as possible, in keeping with the natural beauty of the area – local stone, smooth finish white plaster and natural roof slate.